Winning a Race and Gaining a Sunshine Award ~ My Lucky Week! Happy Friday! I’ve had a bit of a lucky week this week, so you can bet your bottom dollar I’ll be playing the lottery tonight, LOL. Here’s what happened. 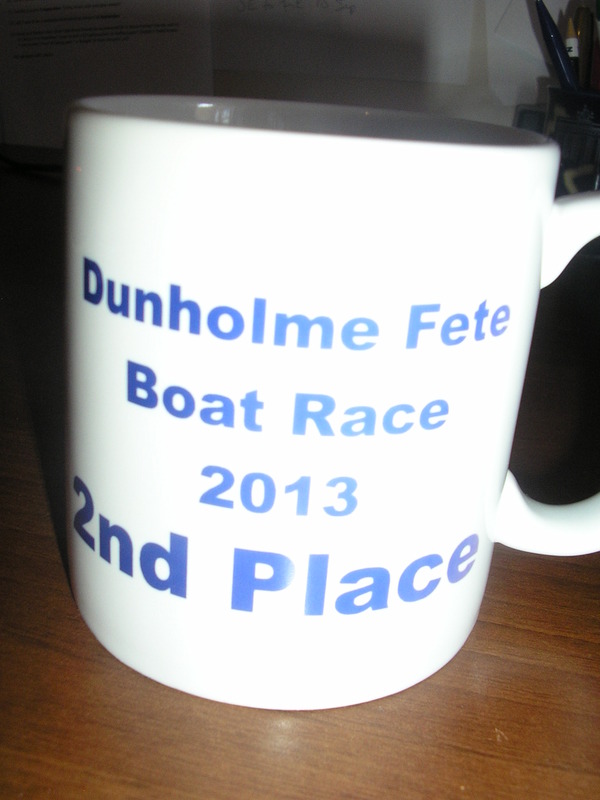 Last Saturday, I completely unexpectedly entered the local model-boat-race… and won (nearly). Photos below! On Monday, I was awarded the Sunshine Award by my rocking friend, Karen Soutar ~ thank you, Karen, and please find my SUNSHINE POST response and nominations below! Last but not least, I also won tickets to the Waddington Airshow in a competition at Siren 107.3 FM. This, for the woman who never wins anything! You can see why I simply have to play the lottery tonight…although you might argue I’ve had my lucky three! One of my greatest regrets about my time at Oxford University is not having joined the College Rowing team. I had two good reasons, though. One, I can’t swim, so rowing isn’t an obvious pastime for me. And two, I really struggle to get up at 5 a.m.. But as a result, I missed out on all the boat racing fun. I made up for it last Saturday! Dunholme, a village nearby our home, hosts a fabulous village fete every year, and as part of the fete, they stage a boat race on the little river running through the church yard. Anyone is welcome to construct a boat out of any kind of materials and race it, for a small fee. Needless to say, the kids constructed massive entries featuring several milk bottles, cereal boxes, egg boxes and what have you. Their boats did well, but they didn’t win. I didn’t have an entry. I had no intention of entering. But observing the winning boats, I tried to explain to the kids where their constructions had gone wrong and was met with incredulous stares. Well, there’s no better way to teach than to show. Right? So in between races, I commandeered a soft drinks bottle (empty), four lolly sticks (sans lollies), and one random wrapper. 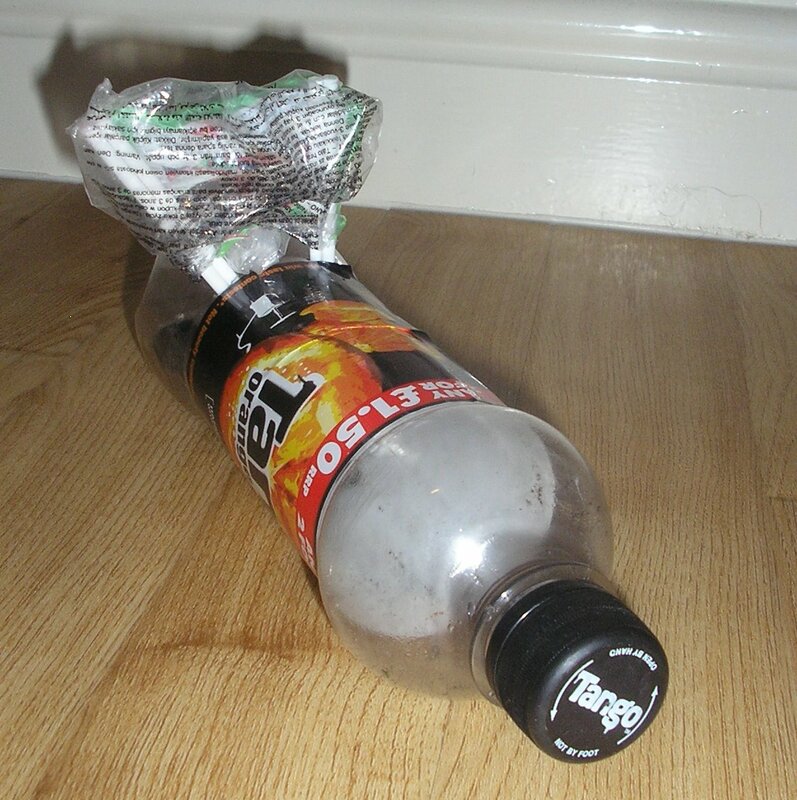 I made two holes in the bottle, stuck the lolly sticks in (two per hole) and fashioned my sail. At the last minute, I remembered to add a few little stones for ballast to ensure my boat would stay upright. Yes, I know it’s not in the water. I hadn’t taken my camera! This wasn’t planned!! I paid my 50p, I entered and…. 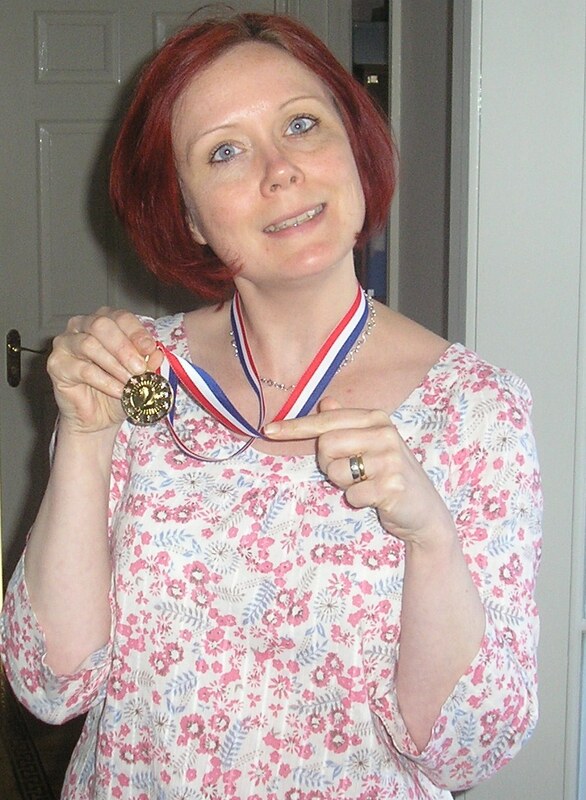 I came second place! (I would have come first but there was an interference…anyway, water under the bridge!). 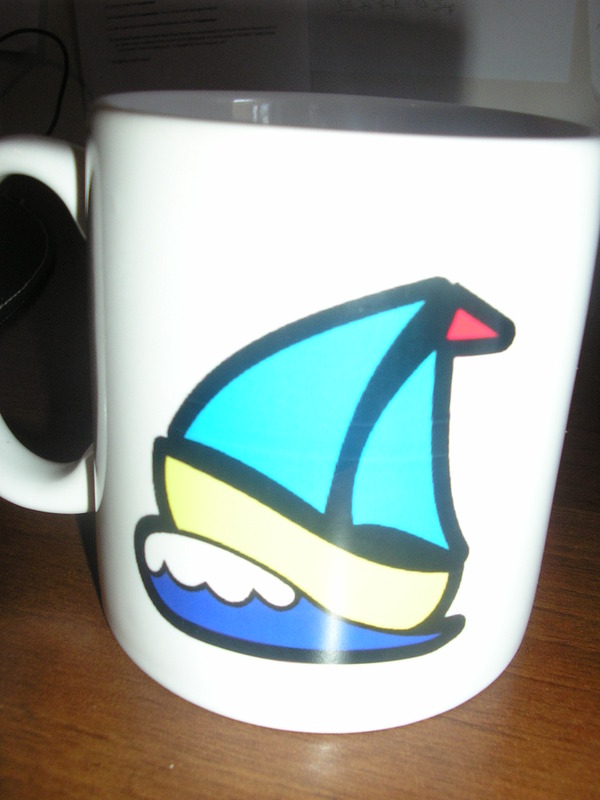 I’m mighty thrilled, and I got a mug to prove it! My offspring were incredulous, but gleeful on my behalf. Will they remember this lesson for next year, I wonder? It’s been a while since I’ve last been able to accept an award nomination. Here’s a big, heartfelt Thank You to all you lovely bloggers who bore with me when I had to pass on your lovely, kind and gracious nominations over the past few months owing to time constraints, deadlines and other calamities. You know who you are ~ and you know I love you! However, on this occasion, I had a clear week and I thought it was time to have a bit of fun again! 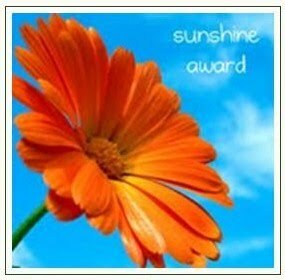 Therefore, a huge thank you goes to the awesome Karen Soutar for nominating me for the Sunshine Award. A fellow rock lover, Karen and I were introduced on Twitter by the lovely Julie Valerie, and we’ve been rocking and chatting together ever since. We have many things in common, but there’s one crucial difference… which you’ll find imminently. To accept the award, I have to tell you ten random things about me, and pass the award on to ten fellow bloggers. Here goes! 1. I don’t drive. Weird, but there you have it. I’ve blogged about this some other time, but the upshot is, I don’t drive. Karen, on the other hand, is a driving instructor! So if I do ever get overcome by the urge to pick the steering wheel up again, I know who to turn to for refresher lessons. 2. I’ve not watched a whole episode of Star Trek since I was a child. And then, I believed quite firmly that all the cast were wearing pyjamas because Captain Kirk’s uniform looked exactly like my Dad’s sleepwear. 3. I can’t swim. Well, not really. I do a hapless little backstroke that keeps me above water, just. 4. I once hitch-hiked across Germany to see a rock band I desperately wanted to see despite having no tickets, or no accommodation at the other end. 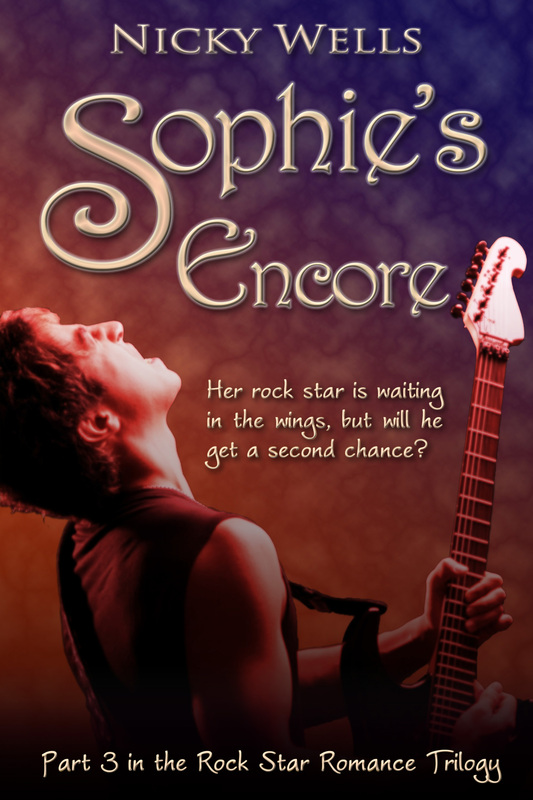 When my then-boyfriend realized that I was serious about going after this band, he joined me on my trip, much to his mother’s distress. I know, let’s not go there. We got to see the band alright. 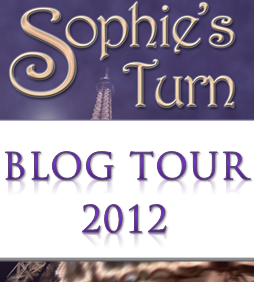 Sadly, the story doesn’t continue at all like Sophie’s story does, so we’d better draw a veil over this. 5. I’m a sucker for seafood. Everything but squid, eek, no thank you. 6. My favourite fruit is a strawberry. 7. I invented orange-and-cranberry cocktails. I swear I did. I was mixing orange juice with cranberry juice before that notion ever made it into public consciousness. 9. I’m a member of the society for the appropriate use of the apostrophe, as well as the appropriate use of their vs. there, and less versus fewer. 10. I have a love-hate relationship with serial commas and participle phrases. Use the award logo in this post. Link to the person who nominated you (hey, that’s me! Woo hoo!). Write ten pieces of information about yourself. Nominate ten fellow bloggers who positively and creatively inspire others in the blogsphere. Leave a comment on the nominees’ blogs to tell them about the award. Have fun! Wishing you all a great weekend. Have you ever experienced ‘lucky spates’ like this one? And do small mercies tickle you pink, too? This entry was posted in Miscellaneous and tagged blog award, Boat Race, Julie Valerie, Karen Soutar, Lucky Week, Nominations, Sunshine, Winning. Bookmark the permalink. Brilliant, read this before driving lessons today and along with some other good news it really started my day off right! Of course I love number 4 (sounds familiar, lol) and also number 9! Why can’t people put apostrophes in the correct place? Why?? Well done on your winning week, I’ve had a great week too! I don’t know if these things really come in spates or does the first one change our attitude, and then everything seems lucky? I also believe in being thankful for small mercies. Big ones come along less often; I know life would get me down if I didn’t appreciate the small stuff! Hi Nicky, this award is so cool! I will accept, hopefully…if I can work out what I’m doing with the logo. Whenever faced with a task that involves a computer and is more complicated than online shopping (I’m a bit too good at that! ), I have to have an ‘I can’t do it!’ moment before I think about it and realise I can! Loved reading your ten facts, especially that you hitch-hiked across Germany to see a band. You are a proper rock chick!. The seafood fact made my mouth water; yes, even squid, and I so want to join the society for the appropriate use of the apostrophe. I must have a rant about bad grammar at least once a day, much to the amusement of my friends who’ve learned to ignore my ‘grammar meltdowns’! You’re so welcome!!! I’m delighted that you love your award. Okay, here’s the deal with the logo. There are two ways, but here’s the one that I find easier to format. RIGHT CLICK on the image and select, “Save Image As.” Then pick a name and save it wherever you want on your computer. Next, when you write your post, go to “Insert Media”, the “upload files.” I know you can do this because I’ve seen photos in your posts before. And the rest is history!! Do you know, in all this excitement, I have totally forgotten to buy my lottery ticket. Is it too late??? Thanks so much, Brandee! I just managed to buy my ticket ~ the draw is in about two minutes, LOL! X Have a great weekend!! LOL, I try! Sorry for the late response, Jo. I’ve had some blogging trouble and I’ve only just found your comment in the Spam folder. Argh! See today’s post on *that* subject!! Thanks for visiting and commenting, it’s lovely to see you here and I hope this commenting malarkey gets cleared up soon. Meanwhile, rock on! No problem – and yes, have just read your No Comment post! Fingers crossed for you! And you too ~ make sure to follow up with bloggers if your comments ever disappear. As I said, I was most surprised to find you in my Spam this morning. LOL!